1. In a heavy-bottomed saucepan, melt the castor sugar, water, butter and golden syrup together. 2. Bring to the boil, turn the heat down so that the mixture simmers and cook, stirring occasionally, for 10 minutes until golden. 3. Remove from the heat and add the condensed milk, stirring all the time. 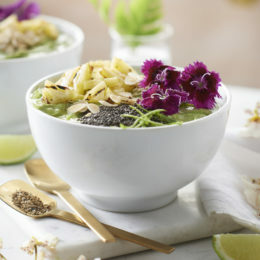 Return to the heat and bring slowly back to a simmer. Stir all the time. Be careful – the mixture is very hot and very sticky and can cause terrible burns. Keep children away. 4. 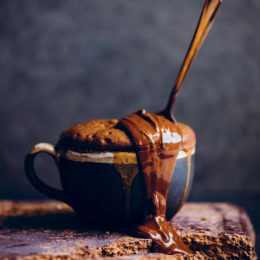 After 20–25 minutes the fudge should start turning a deeper brown colour and will start to fudge on the side of the pot. Watch carefully. 5. When it looks ready, drop a teaspoonful into a glass of cold water. Roll it into a little ball. The ball should not have a toffee texture. It isn’t ready if it is still at that stage. 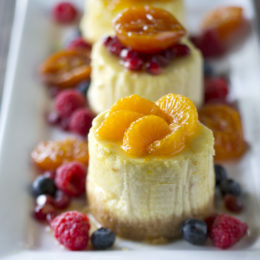 The texture should be slightly grainy and set without being brittle. It takes about 45 minutes in total to reach this stage. 6. Add the vanilla essence, which will bubble up, and stir very well a few last times. 7. 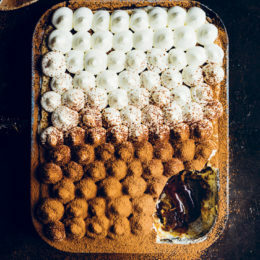 Pour into a small greased baking tray. 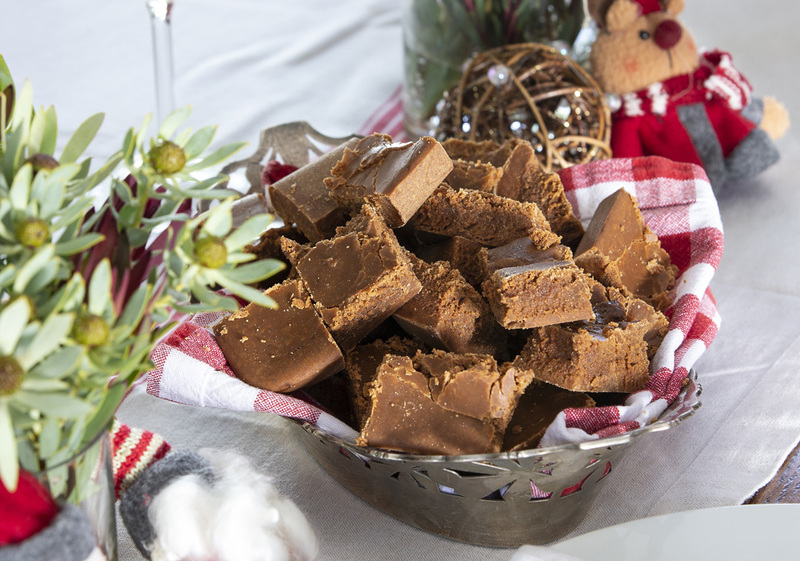 Once the fudge has just set (it takes 10–15 minutes), cut into squares. COOK’S TIP: Add drained and chopped preserved ginger to the fudge when adding the vanilla essence. 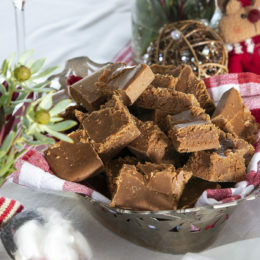 The fudge will have lovely glistening pieces of shiny preserved ginger set into the squares that counter the sweetness.